The Right Reverend Dr Paul Colton, Church of Ireland Bishop of Cork has made the following statement in response to the news of the appointment of the Reverend Fintan Gavin as the next Bishop of Cork and Ross. 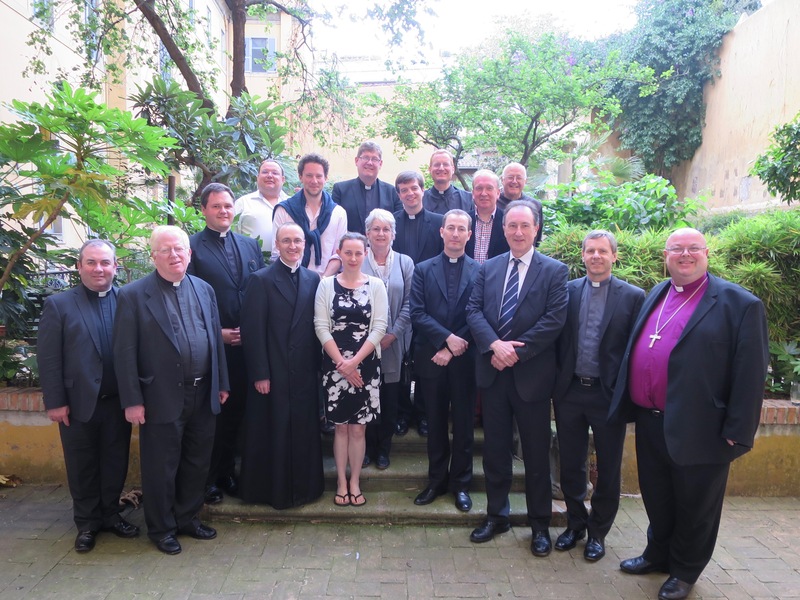 Participants at the meeting of the Colloquium of Anglican and Roman Catholic Canon Lawyers in Rome in 2017 – on the right, Bishop Paul Colton and the Bishop-elect of Cork and Ross, the Reverend Fintan Gavin. ‘The announcement of the appointment by His Excellency the Apostolic Nuncio to Ireland brought, therefore, a broad smile of genuine warmth and joy to my face. I look forward to working with the new Bishop in the years ahead and to supporting him in his induction to “all things Cork”’. This entry was posted in Announcements, Appointments, Bishop, Bishops of Cork, Community Involvement, Cork, Cork and Ross, Ecumenism, Statement by the Bishop. Bookmark the permalink.